What is available for someone who wants to stay in the moderate range for a nice penthouse condo with two bedrooms? The first choice should be The Chase at 7500 Woodmont Avenue, just across from the Bethesda Metro. 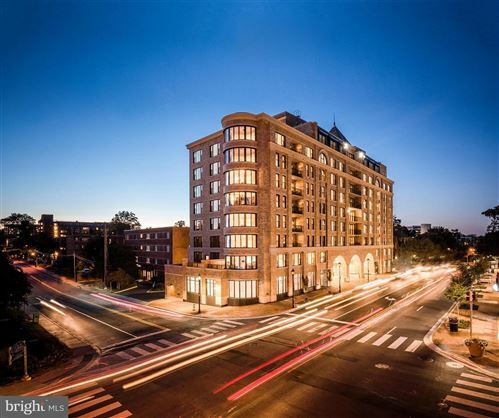 If you are looking for style and space in the heart of downtown Bethesda - this is it! This is a friendly mid-sized building at 7500 Woodmont Avenue with s a real sense of community. There are approximately 250 condominiums in a twelve story building at the edge of the Woodmont Triangle and the northern end of downtown Bethesda. It is a short walk to NIH and Walter Reed and literally across the street from the Bethesda Metro. Built in 1987 and converted to condominiums in late 2006 the Chase Condos are always popular. The smallest model is a one bedroom condo in the 09 tier with 549 square feet. The 04 tier is 568 square feet while the 03 tier is 571 square feet. The 20 tier, the 12 tier and the 05 tier units are all around 720 square feet and the 13 tier goes to 765, while still all being one bedrooms. Want more space? The 10 tier is a one bedroom condo with 777 square feet while the 14 tier is 787 square feet and the 11 tier is 792 square feet but all are still one bedrooms. The 02, 16, 19 and 21 tiers are two bedroom with one bath and 861-878 square feet. 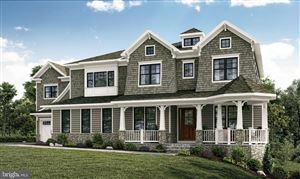 The 01, 06, 09, 17, 18 and 22 tiers are expansive 1125 - 1175 square feet with two bedrooms and two baths. If you are looking for a condo with the space of a single family, then you will probably love the 15 tier with 1530 square feet of space and three bedrooms and 2 baths. If you really want a feel of a single family then look for a condo on the top floors. They have wood burning fireplaces! Imagine a wood burning fireplace in a condo in downtown Bethesda! 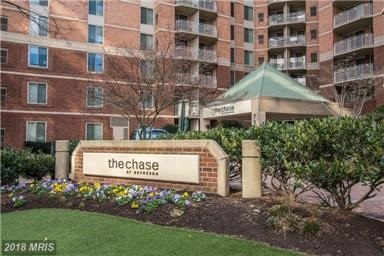 Prices at the Chase are more expensive than some of the nearby buildings like the Whitehall and about the same as the City Commons of Bethesda, but they are also more stylish and upscale. Plus, they are pet friendly AND you have a washer and dryer in your unit. If you are looking for a condo with a lower price tag, such as condo communities like the Whitehall or Kenwood House in Bethesda and Chevy Chase with one bedrooms under $300,000 just click here. The condo fee includes a front desk concierge, trash removal and common area maintenance. Parking is easily available with an underground garage. The building also has an exercise room and a party room. In addition, there is a barbecue area, pool and two lit tennis courts. Pets are allowed, which is wonderful since downtown Bethesda is right outside your front door and there are so many places to walk with your pet! Given all the amenities that you get when you live at the Chase, the condo fee is very reasonable - although not low! Where Do Children Who Live at The Chase Go to School? Children who live at the Chase Cominiums attend Bethesda Elementary For more information on schools, just click here.